Playing with the format of a novel is for many of us a fun, creative process. And it has been so for hundreds of years. Jane Austen often wrote epistolary novels, employing the nineteenth century popularity of letters to shape her story. Today many writers have experimented with emails, blog entries, and even interviews to add another layer of interest and intrigue to their story. Laura Williams McCaffrey joins us today to discuss how she mixed-up her novel's format by including a secondary storyline based on a comic her characters were reading. She has some great advice if you wish to up your game and play with your own novel's format. And be sure to check out her new release, Marked, at the end! I should start by saying I didn’t begin Marked intending to write a novel with an illustrated secondary storyline. I’m mostly a pantser with some plotter mixed in, so I was focused on my characters, along with their varied yearnings and obstacles. But Marked has a more contemporary feel than most of my past novels, and I began to think about the characters’ pop culture. What would they care about? What would they read and listen to? My characters didn’t have a lot of resources. This was clear from the start of the process, so whatever they cared about, it had to be something they would be able to see or hear inexpensively. At the same time, I was reading Michael Chabon’s The Amazing Adventures of Kavalier and Clay, which relates, among other things, a history of comics. This inspired me to read comics and graphic novels, which gave me the idea for the Pirate Jackman and Lady Captain storyline that Lyla loves in Marked. Again inspired by Chabon’s book, I originally wrote the storyline in prose, however, when I submitted the project to my editor, I asked what she thought about the possibility of illustrating it. She thought illustrating was a great idea. For this post, I decided to discuss some of the major aspects to consider if you are a prose writer and want to try to write in mixed formats. In Marked, the comic's storyline is secondary, and in this way it works like any secondary storyline. A secondary storyline needs to have its own complete arc. The placement of each section needs to be close enough to the previous and subsequent sections that readers can easily follow the story, or so that they can be quickly reminded before the storyline progresses. The placement also impacts the primary narrative. If aspects of it relate to the primary storyline, you need to think carefully about where to intersperse the episodes, in relation to the primary narrative’s chapters or sections. Does it need to come before or after certain events in the primary storyline? If so, how do you place episodes in ways that might maintain, rather than reduce, tension? One example would be to place an episode after a moment of uncomfortable resolution, a kind of break moment, before the next scene of action. Or you could instead choose to place an episode after a dramatic cliffhanger, as a way to keep readers reading along through the comic to reach the resolution of the cliffhanger. In the case of Marked, the characters are actually reading the episodes, so I had to place the episodes in ways that the ‘reading time’ made logical sense. The characters wouldn’t be running through alleyways and stopping sporadically to read before continuing to run. If you’re primarily a prose writer, you’re used to drawing pictures with words. If you choose to try writing comics, you'll have to keep in mind that most of the words will disappear. The images will be actual visual images, and you’ll have very little room for words, the captions and dialogue. You'll have to focus on the words that are most important — just a few phrases or sentences per panel. Or, perhaps, none. Panels have less continuous action than prose scenes. Looking at my sentences and paragraphs, I realized I write a fair amount of continuous action. A panel can have continuous action, but you have to think a bit more about the specific action that’s most important to the story, and/or the sequences of actions conveyed through the sequences of panels. I found myself stripping out quite a bit of continuous action. What fits in the panel. This will depend a bit on the book design. If you’re going to have a fairly conventional-sized novel, the panels will be smaller than the kind you might find in a comic, a graphic novel, or a picture book. I didn’t want to clutter the panels so the storyline would be incomprehensible. Again, I found myself stripping out a lot. If your book will be formatted as a graphic novel or comic book, you’ll have a bit more room. The artwork can establish setting and create tone. As writers, we sometimes use a lot of words to give the details of a place, as well as to craft the tone of the story. This all can be created by an artist with an early establishing shot, as well as through use of line, color, etc. You’ll write about setting and tone in the script, but probably not in the captions or dialogue. Give the illustrator what s/he needs to know to create the look, and trust that s/he will. Number of panels. Think about two to three rows per page, with two to three panels per row. A book designer and illustrator will create the final progression, but if you write with the format in mind, you’ll at least be thinking about the way the story has to progress panel by panel, row by row, and page by page. Progression of panels. You can think about this aspect as part of crafting pacing and focus. Do you want one large establishing shot at the top of the page, which could give a sense of character or place? Do you want a series of panels that convey progressing action or continuous action? Do some panels need to be side-by-side, for example to show a before and after contrast, an evolution of thought, a rush toward something that’s revealed on the next row? Again, the illustrator and art director might shift this, but if you write in a way that conveys both the story and the pacing aspects of the story, you’ll help them understand what you’re aiming for. The focus of each panel. As novel writers, we often think of how each scene builds the story. We might also think about how each chapter builds the story. Each comics page or chapter should serve the same purpose as a prose scene or chapter. You’ll want to think about how each panel, too, builds the piece of the story you’re creating. Why does it matter? If it doesn’t, should you cut it? Would another image help you better convey the moment? The most essential words. You simply don’t have room for a lot of words. What are the most essential ones? What are the most essential captions, ones that will explain or complement the images, or that will contrast with them? What are the most essential things your characters have to say to each other? The last panel. If the last panel on the page leads to the comic on the next page, you’ll want to think about how it does so. Do you leave readers with a little suspense? Or is there a little resolution, so that the comic that starts on the next page begins a new moment or action? For Marked, the illustrations had to be both self-contained, in that they were episodes, but also sequential, in that they were pieces of a larger story. It helped me to think of the last panel of an episode as the ending of a chapter, so I often ended with a cliff hanger or an uncomfortable resolution, until I reached the last episode. The ending of that episode had to create a finality to the story arc. Although — the character reading it realizes something completely different from it about herself and her life than the fictional authors of the comics intended. Eisner, Will. Comics and Sequential Art. Laura Williams McCaffrey is a full time writer and teacher of writing. Her short stories have been published by Cicada, YA Review Network, Solstice Literary Magazine, and Soundings Review. Her story “Into the Vast” was awarded the 2014 SCBWI Magazine Merit Award for fiction, while “20’s Ruin” received a letter of merit for SCBWI’s 2015 Magazine Merit Competition. The first part of her novel-in-progress 265 Days of Furie was a finalist for the 2015 Katherine Paterson Prize for YA and Children's Writing, sponsored by Hunger Mountain: The VCFA Journal of the Arts. 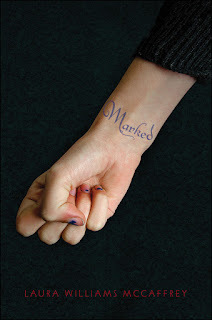 In February 2016, Clarion Books will release Marked, a dystopian mixed-media fantasy for teens, which Kirkus Books called “an original, textured page-turner.” She’s the author of two children’s fantasy novels, Water Shaper, selected in 2007 for the NYPL Books for the Teen Age list, and Alia Waking, an IRA Notable Book and a Teens' Top Ten Books nominee. Alia Waking also was a nominee for the Dorothy Canfield Fisher Award. 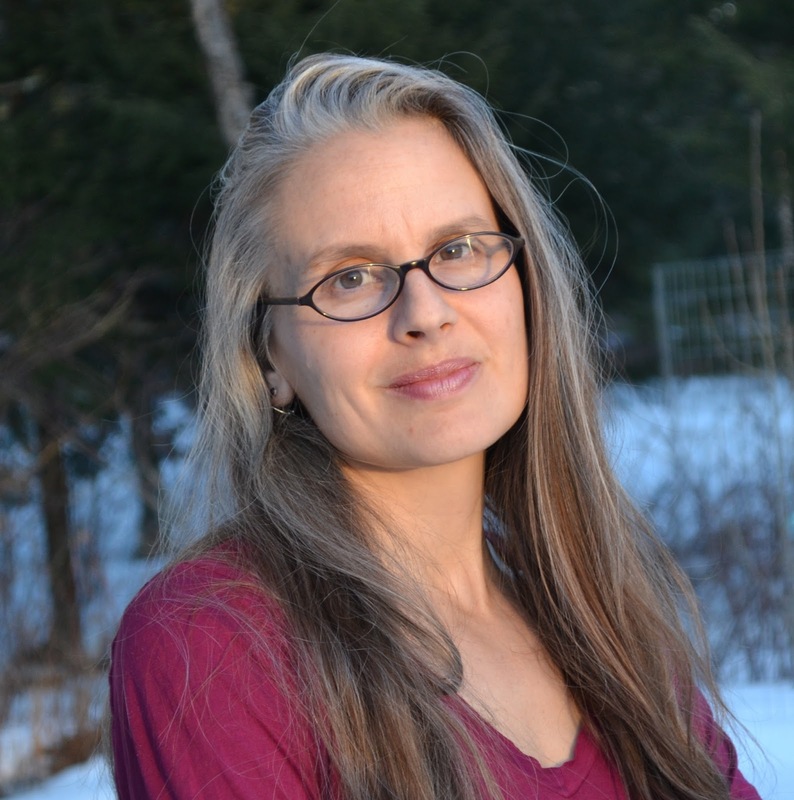 Laura teaches at Solstice, the low-residency MFA program at Pine Manor College, as well as at Pacem School, an independent school for middle and high school students that also offers classes to homeschoolers. She regularly mentors young writers at local public schools. For more information about her or her work, please visit her website at: http://www.laurawilliamsmccaffrey.com.